It's the story of two sisters -- one talented, the other passionate -- and the rivalry that binds them together. 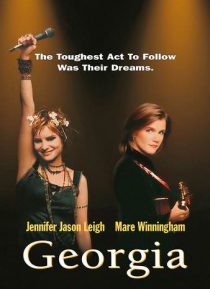 Sadie (Leigh) is a rebel who aspires to rock stardom while her sister, Georgia (Winningham), is a gifted and successful musician. Sadie, unwilling to give up her dreams, struggles to make a name for herself in the shadow of her talented sister. Acclaimed as one of the year's 10 best fil… ms, you'll find this powerful story of ambition and rock 'n' roll dreams absolutely riveting!